Receive 10% OFF when you buy a case quantity of any Tiger Tapes! Tiger Tape Club Pro - Feel Right, Feel Ready! Once again we've been working long and hard to source the best sports tapes available. After listening to our customers and understanding what you need in an EAB, we set ourselves the target to produce an effective and reliable strapping that we are confident will give you great results. Comments we received on our existing tapes suggested that feathered edges can scuff and roll up when grabbed or rubbed during a game. With this in mind, Tiger Tape Club Pro's adhesive runs all the way to a straight edge, eliminating the issue of the bandage being scuffed. 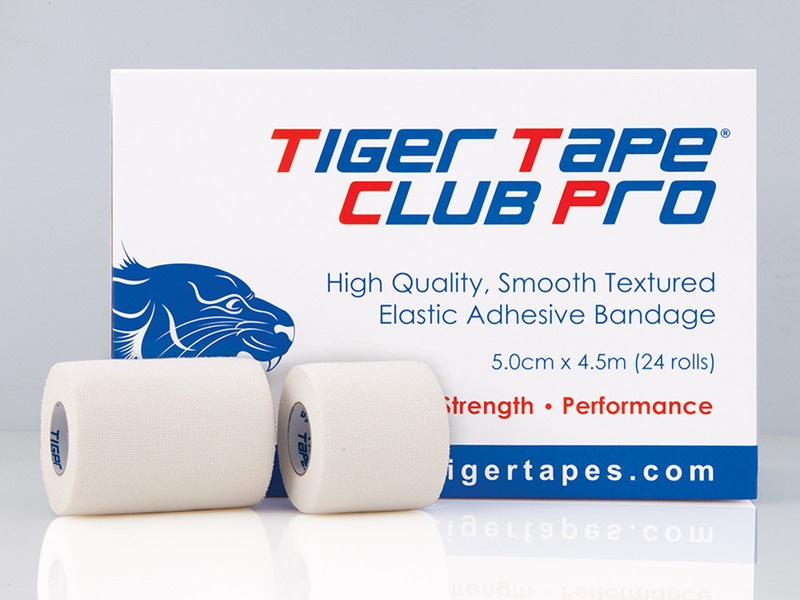 Our new Tiger Tape Club Pro has taken a while to perfect and now we finally have a tape that features the highest standard cloth with a strong adhesive. Of course, like with all our products we've rigorously tested our new EAB with elite sports teams and the feedback has been extremely positive. Tiger Tape Club Pro is a superior EAB tape which offers a smooth texture and straight edges. Its strong adhesion provides a secure, professional and conforming fit to ensure athletes feel ready, protected, strong, and able to do what they need to perform. 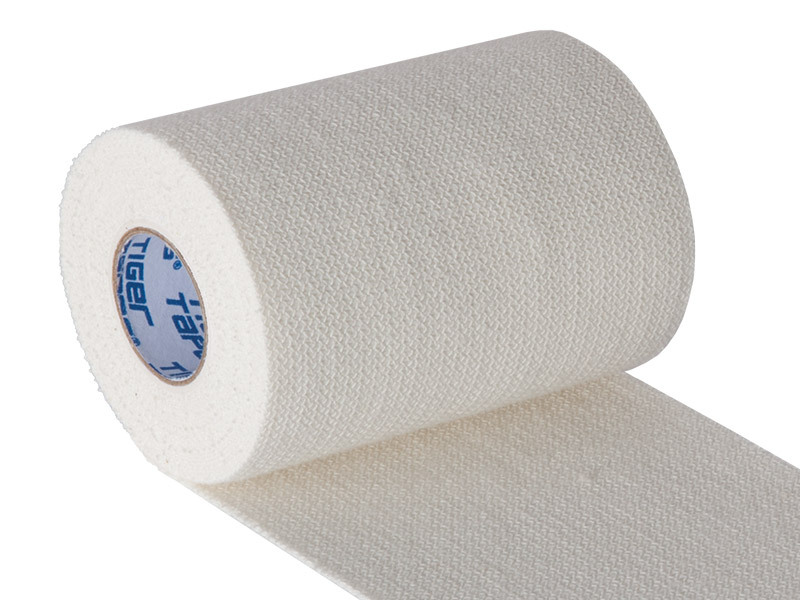 Tiger Club Pro is available in 5cm and 7.5cm individually wrapped rolls to provide greater hygiene. Tiger Tape Club Pro is a popular choice in many sports, in particular rugby, for shoulder strapping, protecting the ears during the scrum and for adding grip around lineout jumper’s thighs. 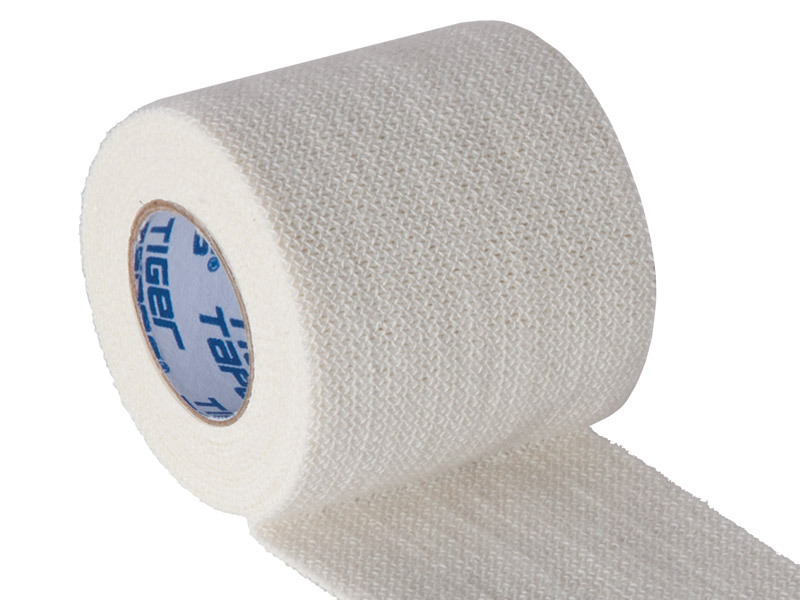 Its heavyweight, semi-rigid tape is also ideal for support and compression of the soft tissue. It can also be used to support ankles, knees, wrists, fingers and thumbs. Superior EAB with smooth texture with straight edge. Strong adhesion that runs all the way through. A secure, professional and conforming fit. Water repellent fabric for extended use in sport. Individually wrapped providing greater hygiene. Available in 5cm and 7.5cm rolls. You may also need Tiger Wrap Underwrap and Bandage Scissors. This product currently has no reviews. If you've purchased or used this product before, why not write one yourself?